Dear Mexican: Why do Mexicans say “¡Ojalá Dios quiere!”? Ojalá refers to Allah the Muslim god, and Dios is the Christian god. Do Mexicans want to cover their bases and get a double blessing, or maybe they can’t they make up their minds? ¿Qué pasó con los dos dioses? Dear Mick: Primeramente, let’s decipher your fine Spanish for nonbilingual gabachos. Gabachos: ojalá roughly means, “I hope that,” Ojalá Dios quiere is, “Hopefully, God wants to,” and ¿Qué pasó con los dos dioses? signifies, “Ustedes should really invest in an English-Spanish dictionary, ¿qué no?” Translations out of the way, let’s get to the carne asada of your question. Both the saying you cited and ojalá are remnants of Spain’s centuries-long occupation by the Moors. Besides a love for stunning architecture and a thirst to conquer infidel lands, the moros inculcated the medieval Spaniards with Arabic: the voiceless uvular fricative (the sound that j makes in frijoles) that unfunny comedians love to over-enunciate when ridiculing Latinos originated with the sons of Ishmael, and linguists estimate about 4,000 Spanish words are cognates of Arabic. One of those words is ojalá, which the Royal Spanish Academy says descends from the Hispanicized Arabic word, law šá lláh, meaning, “If God wants to.” So the phrase that vexes you, White Paddy, is just a reminder of our heritage (we’ll leave the redundancy of “¡Ojalá Dios quiere!” for another column), and an unfortunate one at that. Mexicans already must deal with the Mexican part of our roots; now imagine what conservatives will think when they realize we’re also part-Mohammedan! I’m a former chola from East Los Angeles who works in Washington, D.C., as a lobbyist. I wear power suits, pearls and have three college degrees. My friends are incredulous when I show them the 30-year-old photo of me in thick false eyelashes, eyebrows drawn halfway up my forehead, artfully applied black and white eyeliner, etc. The gang tats are long gone—lasered off or covered with a trendy corazón sagrado. But the one thing I can’t stop doing is outlining my lips in dark brown. I just don’t look right without it. Even the pearls don’t pop unless I have my lips outlined the way Chicanas have been profiling their pouts since the zoot-suit era. This is the one “tell” of my past. Don’t get me wrong: I’m proud of my ’hood heritage and what I’ve made of myself and share my story with many young Latinas that I meet. But I’ve been unable to ’splain this particular penchant to my güerita or bourgie-Mex friends for years. Although you aren’t really known as a beauty advice columnist, I don’t know whom else to ask. No me importa, I’d just like a snappy explanation. Dear Wab: Where you from, esa? What’s your set? You represent Chicanas or mexicanas? Call-outs aside, tell those questioning putas to check themselves before they arruinar themselves. Women have colored their lips for thousands of years, and the reason has never changed: It attracts men. Mexican mujeres constantly get flak from their gabacha competition for applying lipstick, lip liner and/or lip gloss a bit too enthusiastically, but let them whine, K Street Chola: They be hatin’, you know? And remember this: East Los pela! Puro OG OC rifa! 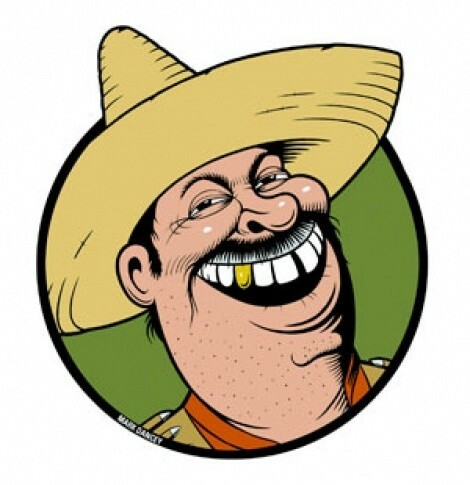 Got a spicy question about Mexicans? Ask the Mexican at TheMexican@askamexican.net. Letters will be edited for clarity, cabrones—unless you’re a racist pendejo. And include a hilarious pseudonym, por favor, or we’ll make one up for you!